Enjoy the many benefits that a private backyard swimming pool brings for fun, fitness, relaxation, entertaining, and family time. 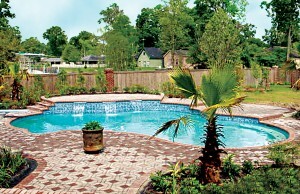 With Blue Haven Pools, you can have a gunite pool & spa with the style and functionally you want. 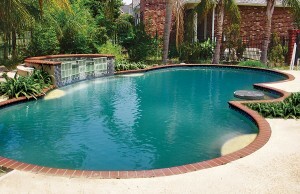 Using lasting, gunite pool construction, we can develop a complete pool plan in the shape, style, and size you desire. You can also have decorative and functional features such as fire pits, tanning ledges, waterfalls, water slides, and color-changing LED lights. And to help create a comfortable environment around you pool—despite the Gulf Coast heat and insects— we can also help arrange for a screen enclosure for your new aquatic resort. When you invest your money into a significant home improvement like a new swimming pool, you want to be sure you are choosing the right custom pool builder for the job. We are committed to giving you true value that’s hard to beat, and we will meet any other Gulf Coast pool contractor’s price for the same pool and contract terms. With Blue Haven constructing your pool & spa, you will enjoy the confidence that comes with a name trusted by American homeowners since 1954. Come to us for an outdoor oasis built for your Gulf Coast backyard, and expect an expertly built gunite pool that’s backed by written guarantees and priced to deliver overall value. We take care of procuring any needed permits, and making sure our construction plans conform to local building codes. From your pool’s excavation through the installation of the deck that surrounds it, our construction superintendent will oversee each phase of building. Even better: Your dreams for a beautiful outdoor retreat can be easier and more affordable with our exclusive high-tech pool features that maximize fun while minimizing effort and cost. When it comes to what you pay for a new inground pool or a major pool renovation, it’s hard to beat the value that Blue Haven provides. An industry pioneer for building efficient, fuss-free pools, we have has long offered a complete line of equipment that saves pool owners time, money, and more. Advanced cleaning & circulation systems. Get ready to vacation in your own backyard. We offer in-home price estimates for an inground pool & spa, and our sales representatives are certified by the American Academy of Pool Designers. Expert consultations for a major pool remodel with equipment modernization are also availble. 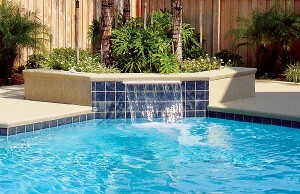 Another option is to visit us: See and touch our pool equipment and view options for tile, coping, and deck materials. 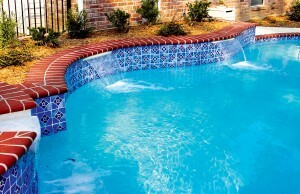 Our pool design center is conveniently located in downtown Gulfport with plenty of parking. A better swimming pool filter: Our exclusive pool filter delivers on two fronts: First, it’s larger than its competitors—which means it holds more dirt and debris so you can clean it less often. 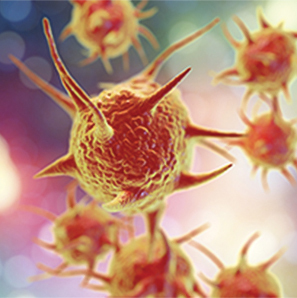 Along with being easier to maintain, it boasts special product protection: Integrated into the cartridge fibers during the manufacturing, Microban helps control the growth of unwanted pathogens that can foul the filter.